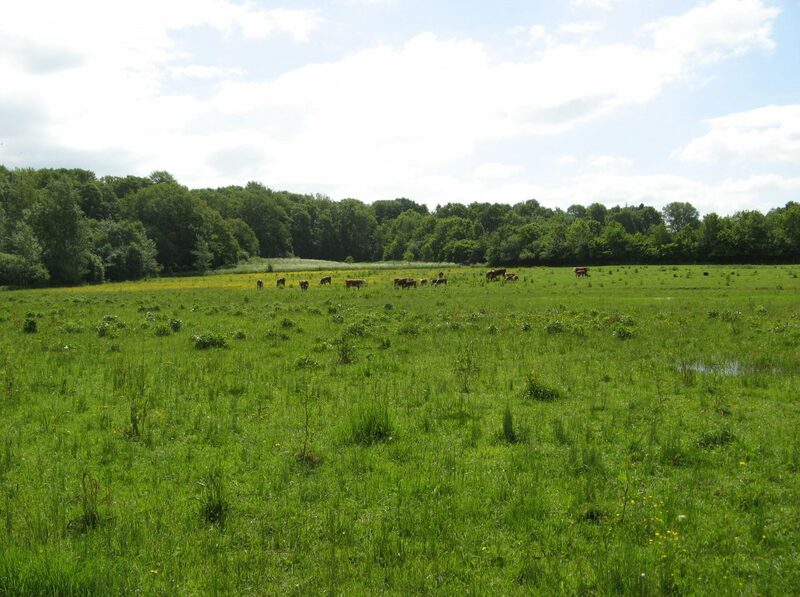 The project intends to create a large area of alkaline fens (7230) with appertaining species of birds, amphibians, insects and plants just south of Brændegård Lake (Danish: Brændegård Sø) in Faaborg-Midtfyn Municipality. The project area counts 23 ha of cultivated farm land. The water level will be raised by suspending internal drainage, terminating pumps and possibly by raising the water level of the stream, Silke Å, which runs through the area. The project is part of the Natura 2000 area ”Forests and lakes south of Brahetrolleborg”. The collective area spans 2575 ha, dominated by forest and two large lakes. Several minor alkaline fens (7230) have been found within the habitat area, but these are in poor condition as they are too small to be used for grazing. The project intends to benefit the Anser anser population as well as other waterfowl common to the area. Also, it will allow raptors such as Pernis apivorus to gain easier access to prey and finally improve the conditions for the Vertigo geyeri (1013) which are often found in alkaline fens (7230). According to the objective of the Natura 2000 plan, the alkaline fens will be expanded by approximately 20 ha. The project will ensure that this aim is met whilst contributing to the compliance of a number of other items. The area has been preserved since 1986 with an intention to secure habitats for Phalacrocorax carbo and Pernis apivorus. Historic maps from the 1800s show the area as wet meadows. Number of ha habitat: 23 ha alkaline fens (7230) are created.